"In dealing with the subject of furniture there is a strong temptation (and one which few writers withstand) to make positive statements which are only approximately true." I came across this statement in a book entitled "English and American Furniture" by Herbert Cescinsky and George Leland Hunter. 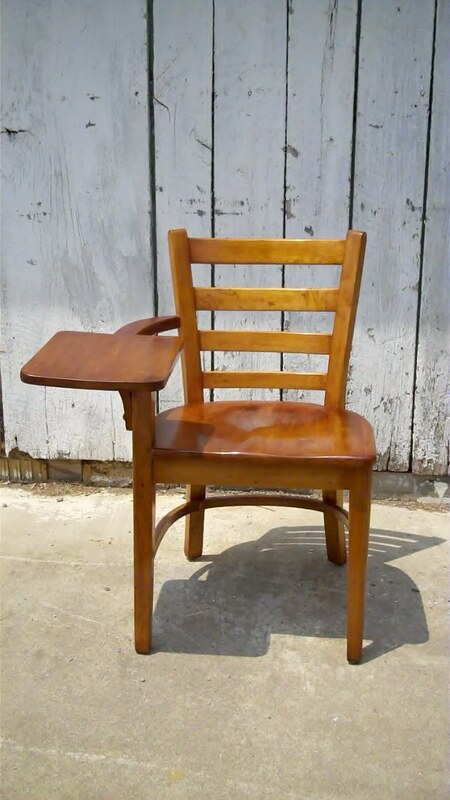 I read this the night after receiving some information from the Buckstaff Furniture Company concerning the Writing Chair I have been working on. My judgment of the piece erred slightly in that I go the date of manufacture wrong by a couple of decades and I alos got the slogan of the company wrong in the previous post. While these are slight mistakes, I thought the quotation was appropriate. 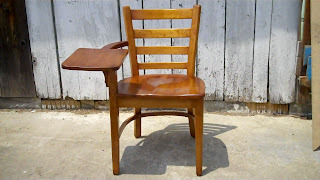 Mr. Tom Mugerauer from Buckstaff sent me some great information about the chair which I have posted below. 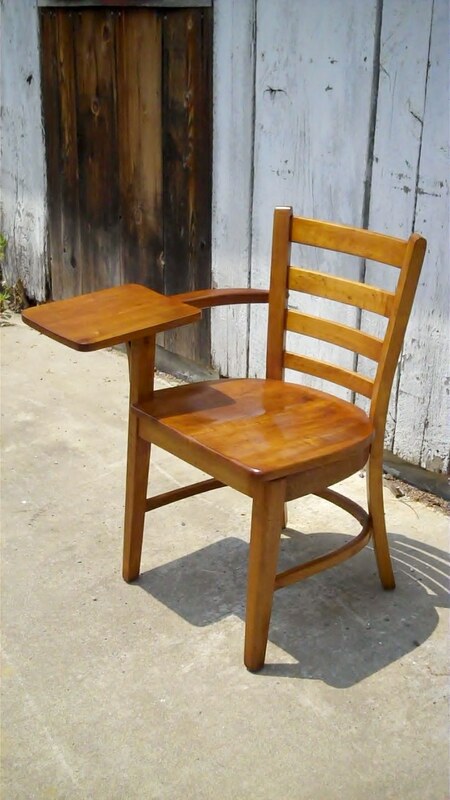 The images are from an Office and School furniture Catalog from November of 1955. Not only is the chair listed, but there is also a drawing of the chair. Thanks goes out to he Buckstaff Furniture Co. for giving permission to reproduce these images. 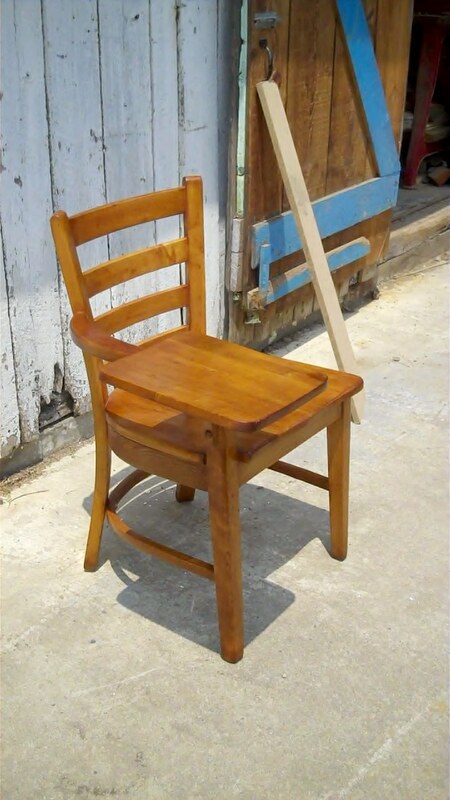 They are followed by a "before" shot of the chair and some photos of the completed chair. 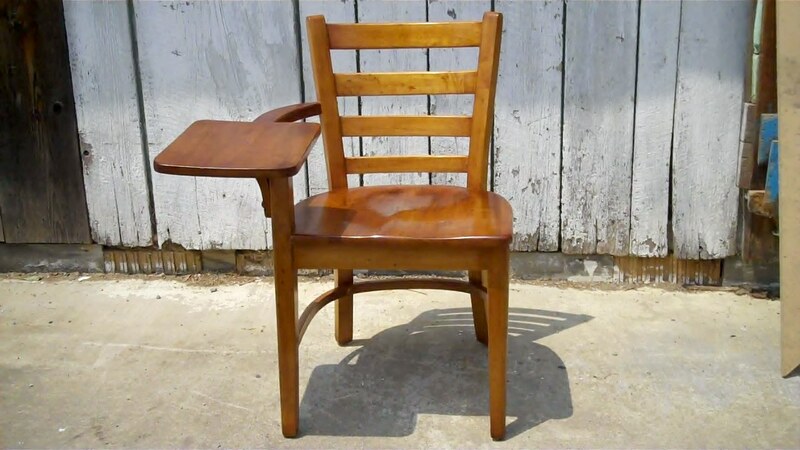 this first image is of the chair. It also lists that it was available in different colors. I know that the color of the chair I restored was originally Harvest Wheat because the word Wheat was stamped on the underside of the chair. 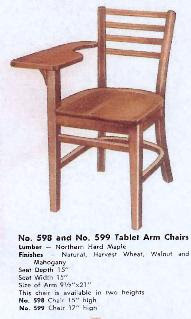 This next image shows the listing for the chair in the catalog. It originally sold for twenty four dollars and twenty two cents. Here is the Buckstaff logo from the catalog. 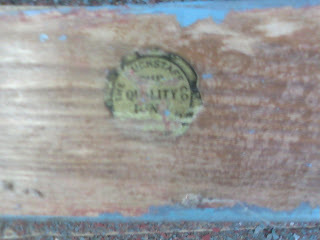 The last image is of the logo which I found under the paint. the logo reads "the Buckstaff Co.-The Quality Kind- Oshkosh,Wis." You can see what I had to work with in the following photo! 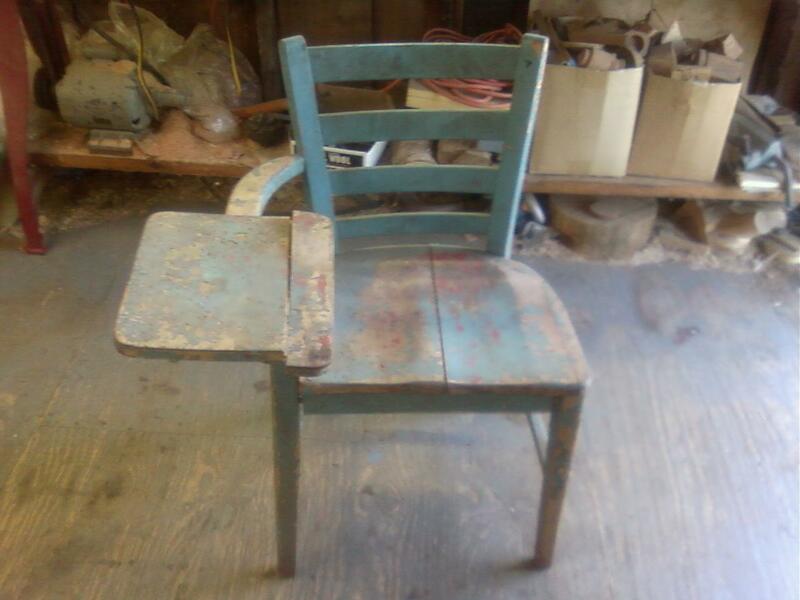 Here is the "before" photo of the chair. These last images show the chair restored. 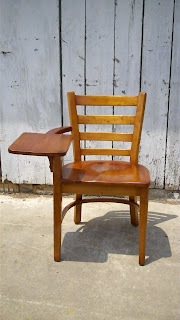 Maple takes on a really nice shine when French Polished! Wow, what a transformation! It's beautiful John Mark.